The University of Cincinnati’s top-ranked Interior Design program took center stage this Wednesday at the inauguration of a month-long Urban Design Exhibition at The McAlpin Condominiums downtown. 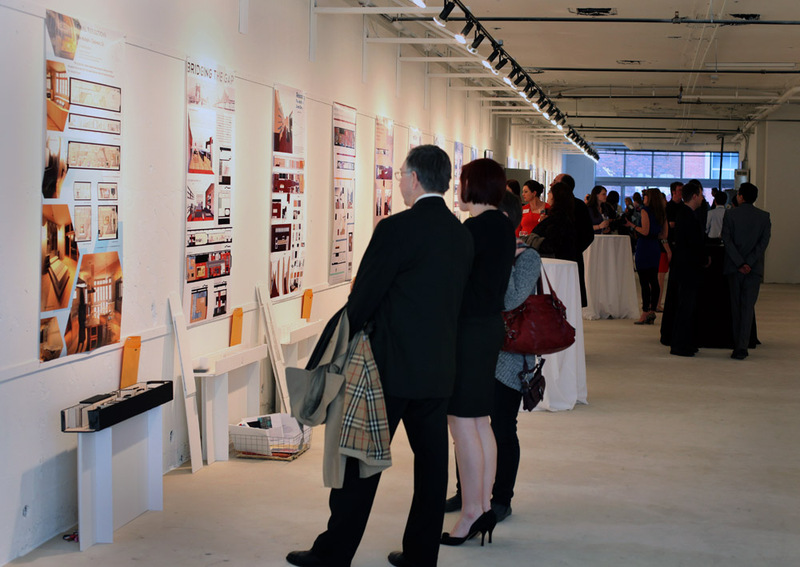 Students from UC’s nationally renowned College of Design, Art, Architecture & Planning (DAAP) opened a showcase of over 25 unique designs proposals for a 3,350 square-foot high-end condominium and 4,500 square-foot mezzanine retail venue. These two spaces, both currently awaiting development, sit within the historic McAlpin Building, which was originally constructed between 1859 and 1873 by architects James McLaughlin and James Keys Wilson, to house the John Shillito Company and the Robert Mitchell Furniture Company. With a nod to the building’s rich architectural heritage and historical acclaim, the current Urban Design Exhibition gives a younger generation of local designers the chance to try their own hand at proposing a designing for the structure’s redevelopment. In Wednesday night’s opening ceremony six awards were given to Interior Design students whose work received acclaim from the property’s developers, local design educators, and the general public. Rachel Harris, a second year Interior Design student whose work was featured in the Urban Design Exhibition, concurred, explaining how beneficial it was to be given the opportunity to take on the challenge of designing for a real interior space. Since re-opening several years ago as a premier downtown residence, the McAlpin has also served as host for past Cincinnati Flying Pig Marathon receptions, several Opening Day celebrations, as well as scores of Downtown Residents Council and Business Chamber events. The Urban Design Exhibition at the McAlpin will run through April 3rd at the McAlpin Condominums, 15 W. 4th Street in downtown Cincinnati. Contact mailto: g.scholl@themcalpin.com with questions or inquiries regarding the ongoing Urban Design Exhibition. Urban Design Exhibition photograph by UrbanCincy contributor Jake Mecklenborg.